Sony PlayStation Vita lands in the UK this Wednesday | What Hi-Fi? 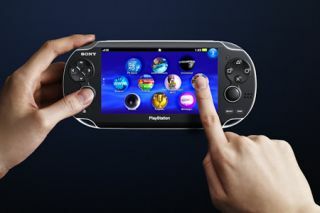 Sony's new handheld console, the PlayStation Vita, is due to launch in Europe on Wednesday. Two versions of the device will go on sale: a wi-fi model selling for £229 and a more expensive 3G one. PSP Vita first went on sale in japan last Christmas and Sony says more than 500,000 units have been sold to date. The Vita will have around 30 games available at launch. Sony has unveiled the long-awaited successor to its PlayStation Portable (PSP) handheld gaming device at the E3 Show in Los Angeles. The new PSP Vita features an OLED touchscreen, front and rear touch controls, six-axis motion sensors, front and rear cameras and wi-fi and 3G connectivity. Sony says it will launch in the US, Europe and Japan by the end of this year. In the US, the Vita will cost $249 (£150) for the wi-fi only version and $299 (£180) for the 3G model.